Canola is NOT a healthy oil. Canola popped up on the scene a while ago marketed as a flavorless, healthy oil that withstands high temps and is therefore good for sauteeing, frying, or baking. Listen, folks, canola is a highly processed oil, often genetically modified, and when heated and deodorized during processing, any omega 3 or good fats it once had are destroyed, as these healthy fats are very heat-sensitive. There are even concerns about organic, cold processed canola, which is still said to undergo extensive processing. The Weston Price Foundation also states that the modern process of extracting vegetable oils with high-pressure mechanical pressing, along with industrial solvent residue in the oil, such as Hexane, can be toxic. 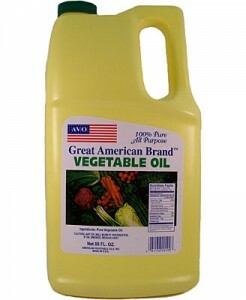 These heat, high pressure, and solvent processing methods are common with most conventional vegetable oils and make the delicate oils rancid upon consumption, which can cause a whole host of health problems over time, including arterial lesions and all sorts of other disturbing maladies. SO. What to use? Well, coconut oil is a great fat for cooking, frying, and baking. Solid at room temp, it is a very stable oil that holds up to high temps very well, meaning it will not go rancid when heated. It also boosts metabolism and thyroid function, is anti-viral, anti-bacterial, and anti-pathogenic, and has a wonderful flavor in baked goods. Don’t believe the “too much saturated fat” hype. The studies done with coconut oil were debunked. It’s one of the best fats out there. And try the coconut butter spreads or coconut cream concentrate in place of butter. Oh my, this stuff is DEEE-licious. Butter, of course, is good for baking and sauteing too, but it does contain dairy. Try ghee, clarified butter, to get around that little fact of nature. Olive oil, of course, is everyone’s darling, and yes, a good source for monounsaturated fats, etc, but not so good at high temps. Can tolerate moderate sauteeing and baking, but not for high temp frying. Good with balsamic for dressings. Sesame oil should not be used for sauteeing. Best used as a finishing oil to drizzle a little over your food just before serving. I often drizzle a little over greens or fish when they’ve finished cooking. Good as a base in salad dressings or on cold noodle salads. Try sesame oil, garlic, ginger, miso, and seasoned rice wine vinegar for a great dressing. Flaxseed oil has gotten a lot of press for its omega 3 levels, and it’s fine cold, added to smoothies or salad dressings for instance, but it should NEVER be heated. It’s a polyunsaturated oil and is far too delicate. Plus, I believe cod liver, fish or krill oil are better sources of omegas than flaxseed oil. This flax oil is in dark glass, which is good because it is very light sensitive! Besides canola, avoid corn, soy, cottonseed, and generic “vegetable oils” (usually blends). These are usually highly processed and rancid by the time they make it to that plastic jug and onto your shelf. And don’t even get me started on plastics, or oil in plastic, for that matter. There’s a reason why these oils seem unappetizing. Choose cold processed, organic oils that actually SMELL like whatever they’re made from. Also, buy them in GLASS. Oils are highly reactive to plastic, which changes the structure of the oil, and the toxic chemicals from the plastic leach into the oil and end up in your body. Yum! Sesame oil should smell like sesame. Olive oil should smell slightly fruity like olives. Coconut oil should smell like, well, coconuts. Not many people know what a grapeseed smells like, but that oil smells kind of nutty. So go home and take a whiff of your cooking oil. If it smells like chemicals and looks pale and unappetizing, get rid of it. Your body will thank you. Hello. Your absolutely spot on in saying Canola oil is not a healthy oil. Canola oil is an oleate oil. Its predominant fatty acid is oleic acid. But unlike peanut and olive oils, both of which are also oleate oils, canola is not a natural fat. Canola comes from genetically modified rapeseed, whose toxic erucic acid content is reduced, replaced by oleic acid. Problem is, in the purification process, canola is subjected to high heat (400 degrees F), which gives it its four to five percent TRANSFAT content. Yes, coconut oil is definitely a healthy oil. In fact, The Healthiest Oil in the World. 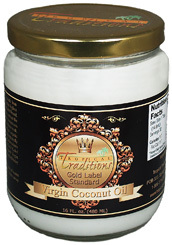 Virgin coconut oil is all-natural and safe for cooking because thanks to its 92 percent saturation, it is highly resistant to oxidation and free radical formation. Just my little two cents on the matter. Thank you for explaining a lot about the misconceptions around the best oil to consume. Especially about the virtues of coconut oil vs. canola.